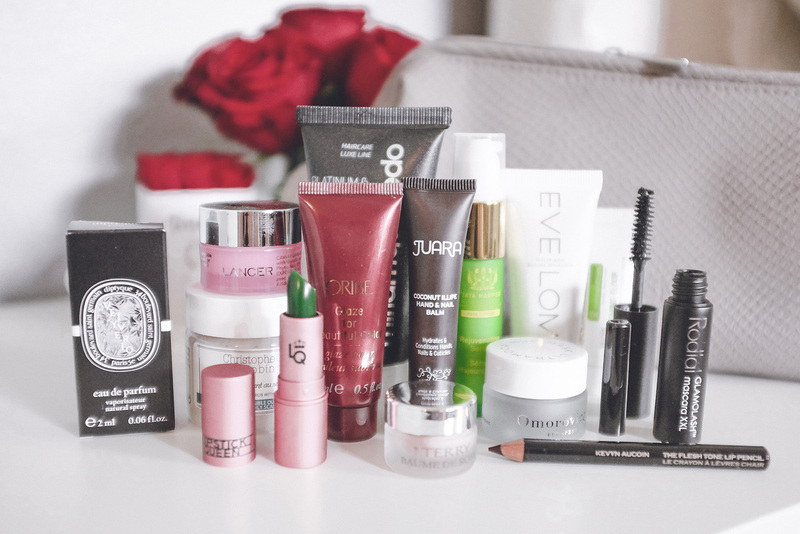 I love my luxe beauty products, so I wanted to share this highly coveted bag of beauty goodies from Space NK! Starting today you can get your hands on The Essentials Gift (valued over $200) with a purchase of over $165. 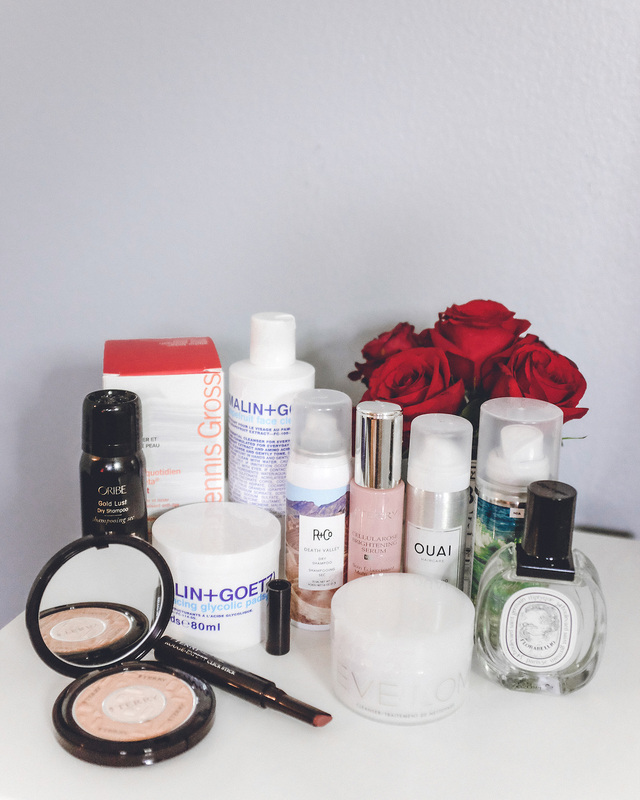 With the new season, it’s the perfect time to refresh you beauty closet while adding Space NK’s selection of must-have products from some of my favorite brands. Speaking of By Terry, I was recently introduced to the Dual Powder compact, and its just an amazing do-it-all. Also, the Rouge-Expert Click Stick are so cool. They are great at getting to all the contours of your lips. 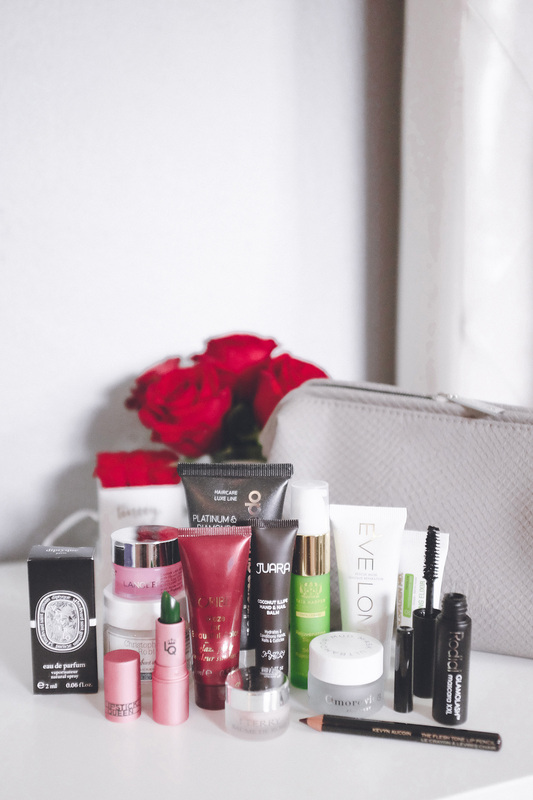 Yes, I love By Terry, so I need to tell you about the Cellularose Brightening Serum because it smells so good in addition to making my skin look so vibrant. On that note, I still am dying to try the CC-Lumi Serum in Rose. New to my skincare regiment are these 10% Glycolic Acid pads by Malin + Goetz. (I love their grapefruit cleanser!) Also great, are the Dr. Dennis Gross Alpha Beta Peel packets (the first I’ve tried and still love). I know I am getting overly excited, but I really love to rave about my favorites. Next on the list are Diptyque products. I don’t you can really go wrong with any of their candles, lotions, or perfumes. The Baies candle is quite popular and I do enjoy keeping the Velvet hand lotion on my vanity. Last week, I saw the most amazing color nail polish by Smith & Cult. Its a beautiful burnt orange. It’s on top of my wish list! The Ouai Dry Foam is amazing post-yoga to revive your tresses and make it smell good. And because I’ve really been into scalp care these days, the R+Co Scalp Scrub is also on my list to try. Oh and two classics you need to try if not already, Oribe’s Dry Texturizing Spray and Eve Lom cleanser with muslim cloth. Oh and lastly, the Hourglass veil primer — I whip this out on special days (when I know I need to look my best all day/night). The GWP is available in stores today (and online) until supplies last!